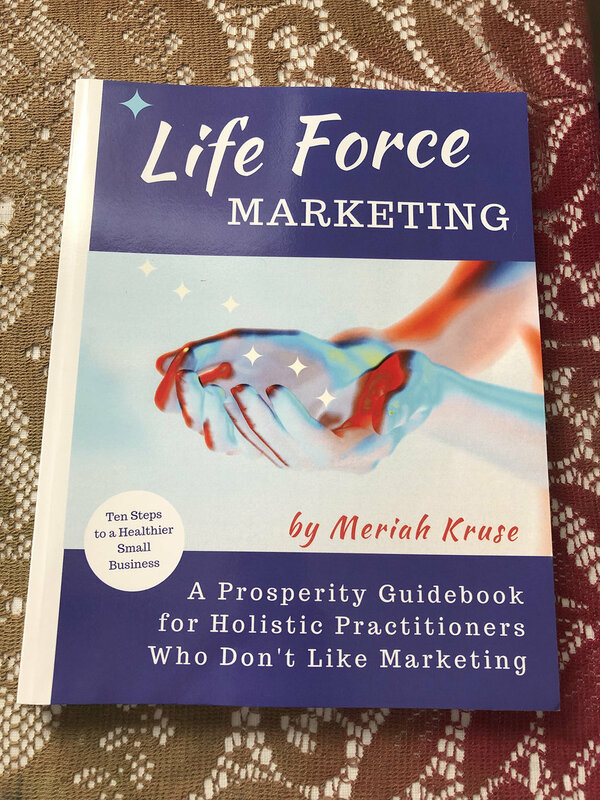 Last Friday I arrived late for Meriah Kruse’s launch of her well written, informative, succinct, step-by-step book, “Life Force Marketing.” Fortunately, I was able to purchase a copy. Her book presents a strategy for developing a successful solopreneur business. While she describes it as “a prosperity guidebook for holistic practitioners” the information can be applied to many other small businesses. She teaches you to draw on your past successes and use them to develop a list of personal resources and revise the story you’ve been telling yourself about your life. Your new story becomes powerful and engaging. It enhances your marketing tool box. She shows you how to take the contemporary over used concept of “what’s your story” and transform it into an effective message that communicates who you are, what you do and what’s the problem you’re solving. Using her own life as an example, you could almost call it a very creative memoir. Meriah shares her successes and failures giving you insights into what’s possible in a way you can’t wait to get started implementing her ideas. The strategies she shares make it worth reading her book, even if you don’t have a business. Everyone needs to market themselves. I am a fabric artist. I dye fabric and design art to wear that reveals your inner beauty.